Once we were on the flight from Doha, Qatar toward the USA I asked each team member to write out their thoughts of this trip. I asked them to write a reflection of the trip in general, how the Lord spoke to them, and what they would do differently in the future. This post is a compilation of reflections of the team members. 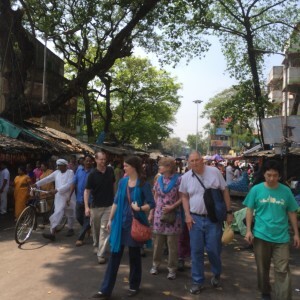 Kolkata, the city of extremes…. Bright, kind, beautiful, hopeful, helpful, and strong people surrounded by oppression, darkness, fear, and persecution of Christians. Standing in awe of these Christian people who struggle there every day. The most memorable experience was the river baptism. Aside from the 8 new believers who were baptized, there were only 3 of us present. While there were people on the opposite shore of the river, I doubt they had any awareness of this public declaration of faith. 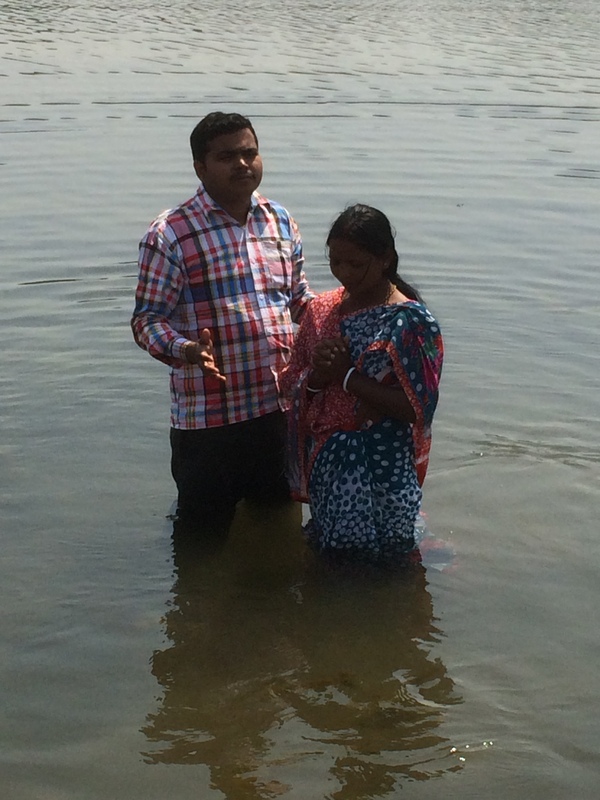 I was filled with love & joy as I prayed over the women as they walked up from the river. Prayer is so powerful and we witnessed the deep need in many places. 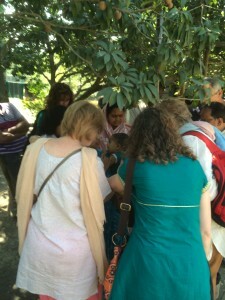 The ladies on our team prayed over every woman in the church at the N village individually. Our hearts were broken for what breaks theirs. In a single day we spanned all emotions, excitement, apprehension, hesitance, joy, tears, laughter, sadness, gratefulness, and more. God took us deeper into the lives of his children who desire to know Him better and it is an amazing and humbling blessing to be used by Him. 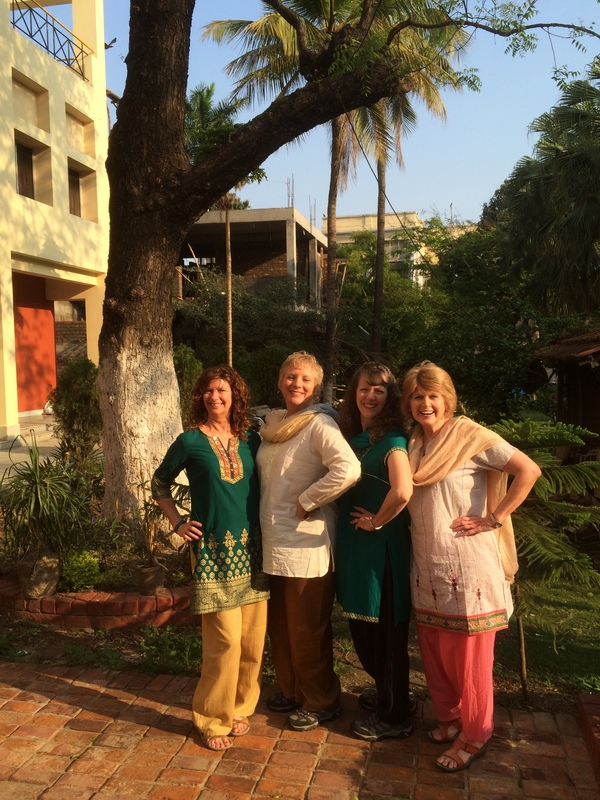 My second adventure in India was so very different from the first time. Last year my senses were overloaded! So many sights, sounds, smells. I knew the people were beautiful, but had only met a few. I loved the children. 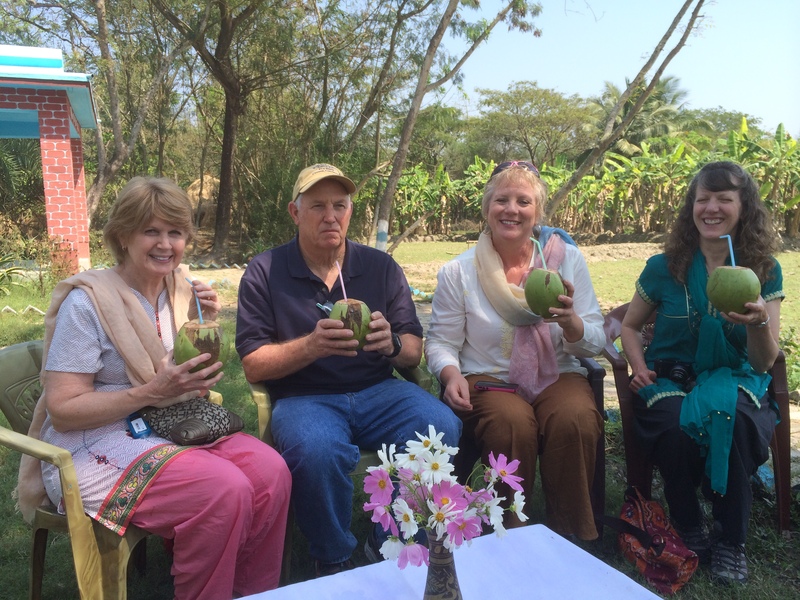 This year, we spent good quality time with many different people, specifically those Americans permanently serving in Kolkata, the New Hope children, and many native Indian individuals serving our Lord who face challenges we can’t even understand. We talked, toured, ate, praised, taught, and prayed with many, many people. My prayer list now has so many individual faces! And that is so cool. I was blessed to be able to spend 12 days with wonderful, caring Texas Christians. God has deeply enriched and yet challenged us. The other morning I reached over to unplug my phone, which was laying on the shelf of the second floor. The second floor is where my wife and I sleep and it is open to the floor below. So, I am standing on the stairs as I grab the phone, likely late to wherever I was headed. I lightly grasped the phone and as I slid it off the shelf I realized it was still plugged in. The plug in held it just well enough that it slipped out of my hand, but the phone had momentum from my pulling and slid off the shelf and all the way to the tile floor – 10 feet below. Yep, screen was shattered. Now I do not know about you, but I am way dependent upon my phone. It has way too much information that I need often, particularly contact info for a variety of people. And, even though I am not twenty something, I text like I am. We were in a rural area and access to a replacement phone was not simple. I contemplated ordering a replacement screen, but probably above my technical abilities and the phone was older and not functioning well anyway. So, I pulled out an old flip phone, or as one friend called it “a 1920’s model flip phone.” If you texted me during the 3 weeks I was carrying the flip phone, you did not get a text reply. I simply had all calls forwarded to the flip and would check the other one nightly for texts. I could read who sent it but opening the text was difficult and responding almost impossible. So, text messages got a call reply. Actually much better, I enjoyed talking to folks, but it does take more time. Toward the end of this period of difficulty, I write with tongue in check, I was complaining. 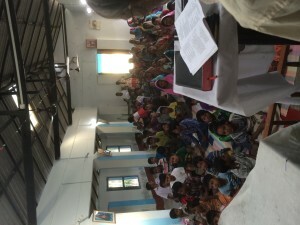 My son looks at me and says, “first world problem.” Now I have been to India 3 times on mission trips. 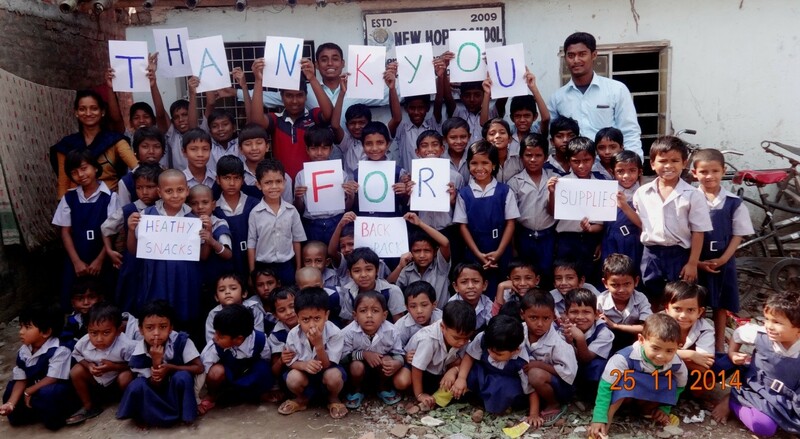 We started a not for profit corporation that supports the school in the picture above which is located in a slum in India, so I have seen 3rd world. Every time I return from India for a while after I get back for some reason I am amazed to open my refrigerator and find fresh milk. I am not sure why milk in a refrigerator is the one sure object that signifys I am home, but it does for me. So, I am well aware of the difference in 3rd world problems. I notice that most of the things that frustrate me are “1st world problems”. My life is great. I have a comfortable bed to sleep in. I have milk in the refrigerator and if not I can have a new gallon in 15 minutes and did not have to chase down a cow or a goat and milk it. I have access to over the counter medicine to resolve most all my sniffly problems. I can sleep in my comfortable bed with little or no fear of danger during the night. I have air conditioning in the summer and central heat in winter. I have not built a fire to cook on or heat over except on vacation – ever. My problems are 1st world problems. And yet I am not thankful. Let me encourage you as you go about enjoying Thanksgiving with your family – judge your problems. 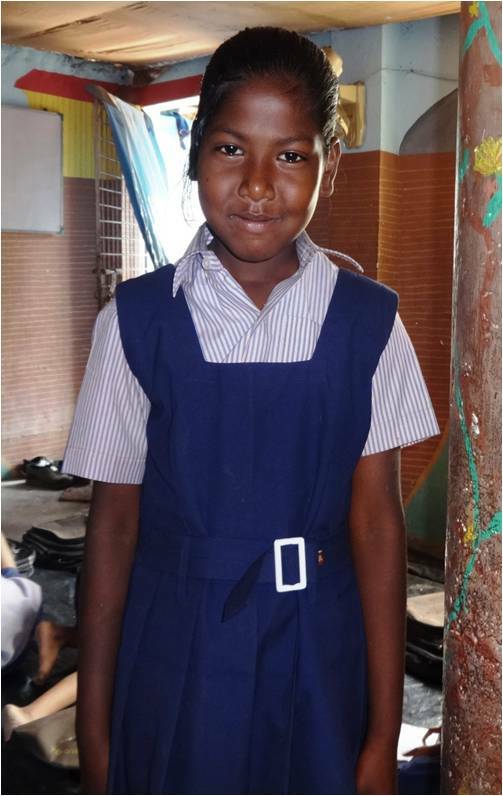 Are they 1st world problems such as stuck in traffic in an air conditioned car listening to satellite radio, or are they real problems like 60% of the children in the Udayan Polly slum area of New Town Kolkata, India who are not receiving any education. Cowboy Logic: Everybody wants to change the world, but nobody wants to change themselves. We are in New Mexico working hard on elk hunts for Wounded Soldiers, ok this is not really hard work. The Good Lord has Blessed our efforts and many new contacts are coming forward with offers to help with hunts and with expanding to include retreats for Pastors and Missionaries as well as summer camping trips for Gold Star families. We have preliminary confirmation of 2 elk hunts for the fall of 2014. One is for 4 hunters on a cow elk hunt in early January and one for 2 or possibly 3 hunters on a cow elk hunt in early November. Both of these are private land hunts. We have several other potential offers of other private land hunts and sorting through them to see what will work with the number of available hunters. 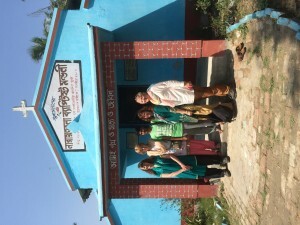 The work of the Starfish project continues. Please see the story of Mandira Shakari below; Hi, I am Mandira. aged about 8yr old. I live with my mother. My father is in jail. My mother is a maid servant. I have another sister. I did not want to go to school. 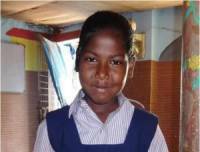 One day our School teachers came to our house and asked about me and talked to my mother to send me to school.I go to school. Learning many things. Love to draw. Learning English was a dream for me. I want to be a work in a office. 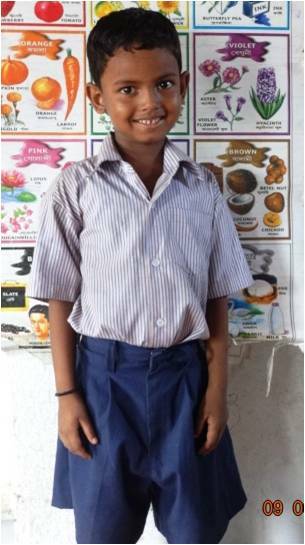 I will letter to my father .I am learning about Jesus Christ. If you are looking for some deep, profound, theological message to go with the title, ” The Lord provides” you are probably not going to find it here. We ran out of money. Not enough cash to pay all the bills, and we still have 3 days & a taxi ride to the airport. Getting cash in India was is not easy. They don’t take VISA. You get the idea. Now I was not sweating it, just trying to figure out a solution that did not involve our team washing airplanes for a ride…. God had already provided, what a deal. I am honored to provide comic relief to my friends, family, & the Good Lord Jesus who has planned for every event of my life. 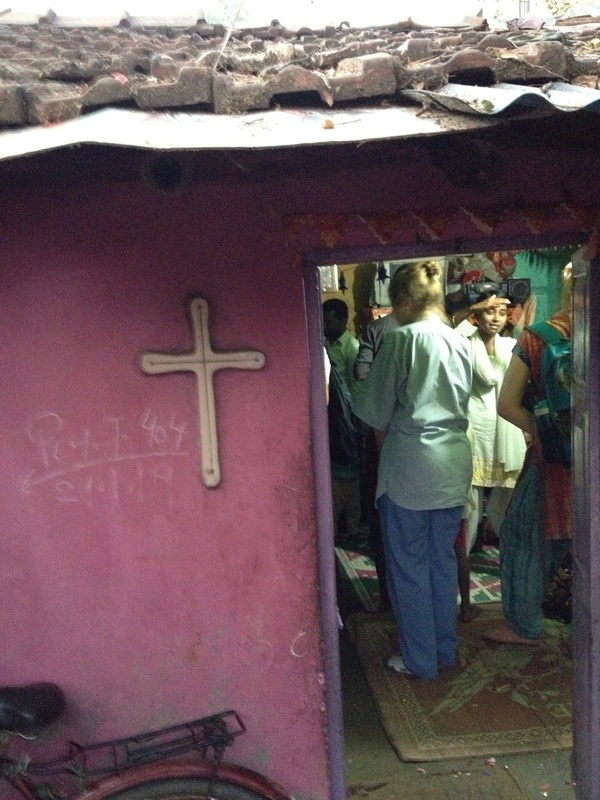 The folks who live in this one room 10’X10′ upscale slum home know that their God provides. Upscale slum has masonry walls, maybe a floor, common toilet, residences are joined. People are packed. There is a LOT of noise. No sun. Plenty of filth. 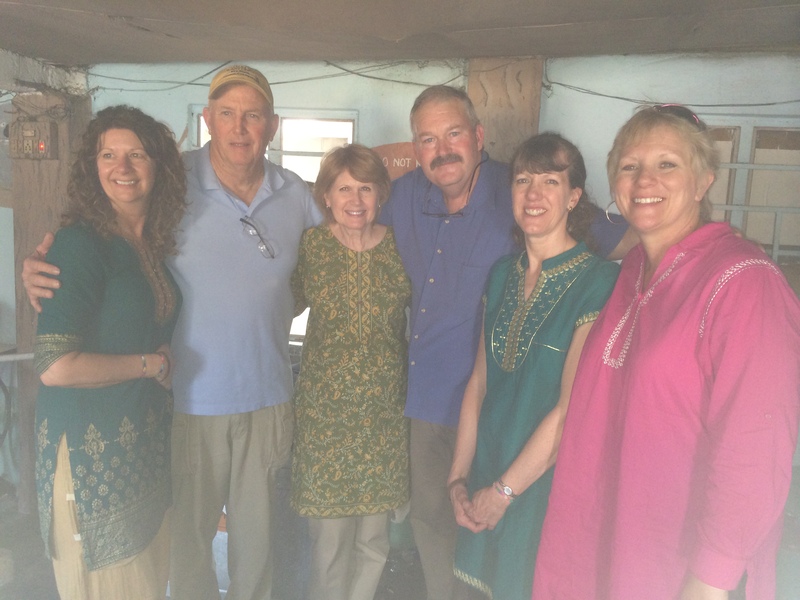 These folks opened their home to us & 30 or so children for a few minutes of Praise & Worship. The 3 young people who are “Faith Alive” are showing their faith in this place. Their ministry is twice a week coming into this downtown slum and teaching children about Jesus – who provides. After the singing there were a parade of folks who became by to be prayed over. One of our team said, ” as I prayed, I just hoped I had the faith of the folks asking for prayer.” Me too! I have been to a lot of wild events, more than afew revivals, witnessed a faith healing. Had a guy I bought bulls from who cast demons out. But I gotta tell you, I have never seen faith like those folks. They expected their children & themselves to be healed. The team spent the last two days with the children of the New Hope school. 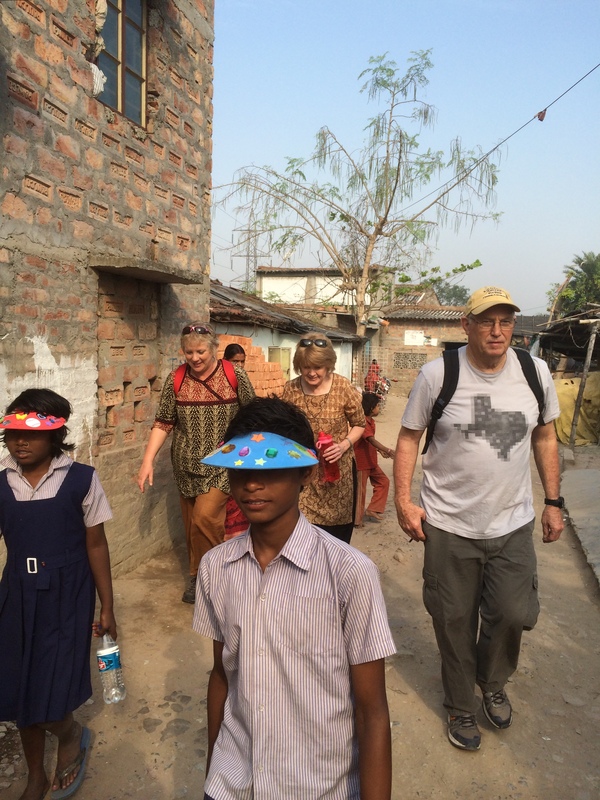 The New Hope school’s purpose is to bring New Hope to he residents of this slum area near Kolkata through Jesus Christ and thorough education. 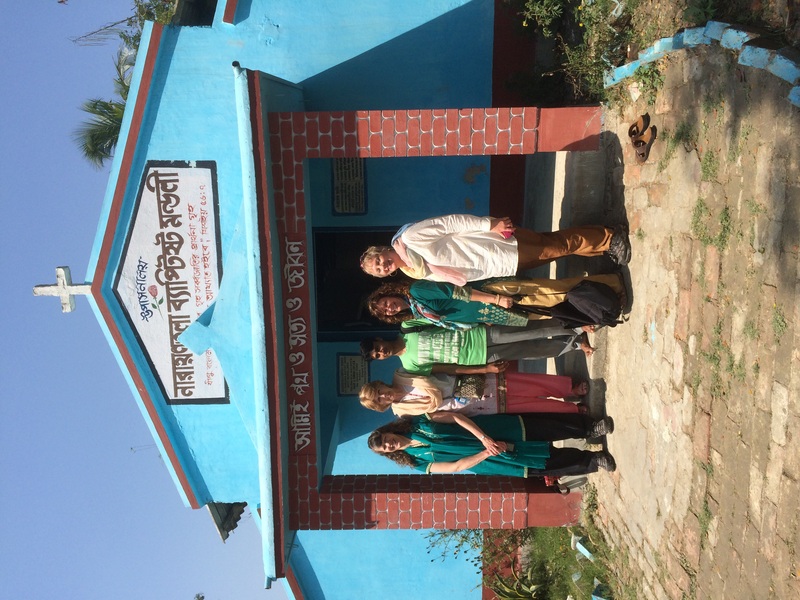 half of the women and all of the men on the team worked directly with the Teaching them basic math skills and practicing their English. 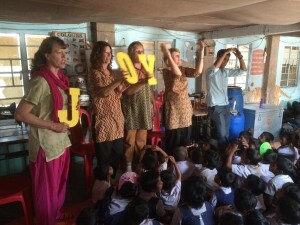 The team also had a craft activity, told bible stories, sang songs, and mostly exhibited the love of Jesus by their in person with these children. The other half of the women went out in the slum door to door with a teacher meeting women of the slum, praying with them, and showing love through their presence. 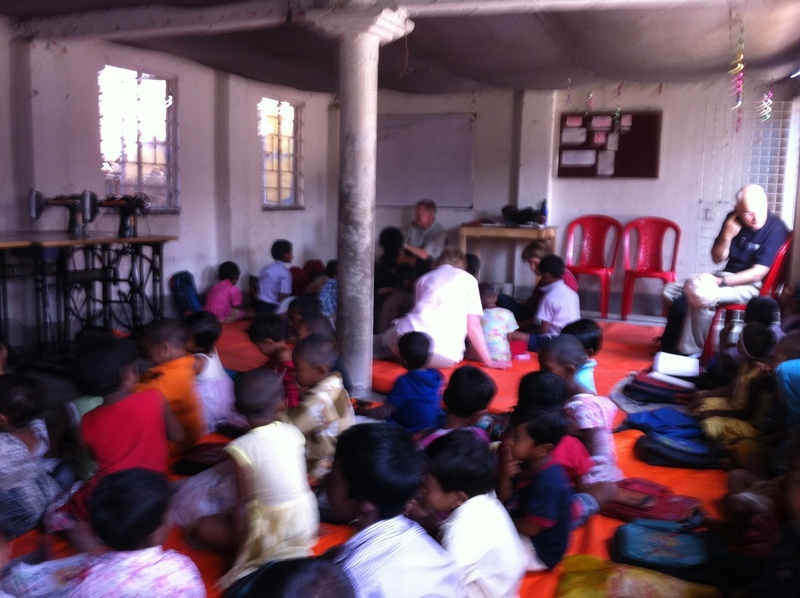 Often folks say you cannot make a difference on a week long mission trip, well they have not seen the light in these children’s eyes by having American guests sit on the floor to teach them, or go into a slum hut to visit a resident. 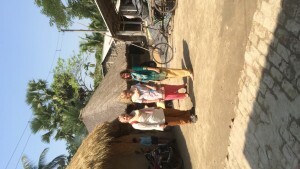 Today the team w volunteered at Prem Dan. Prem Dan is one of the missionary’s of Charity, started by Mother Teresa, homes for the destitute and dying. Pictures are forbidden inside these homes for the untouchables of Kolkata. 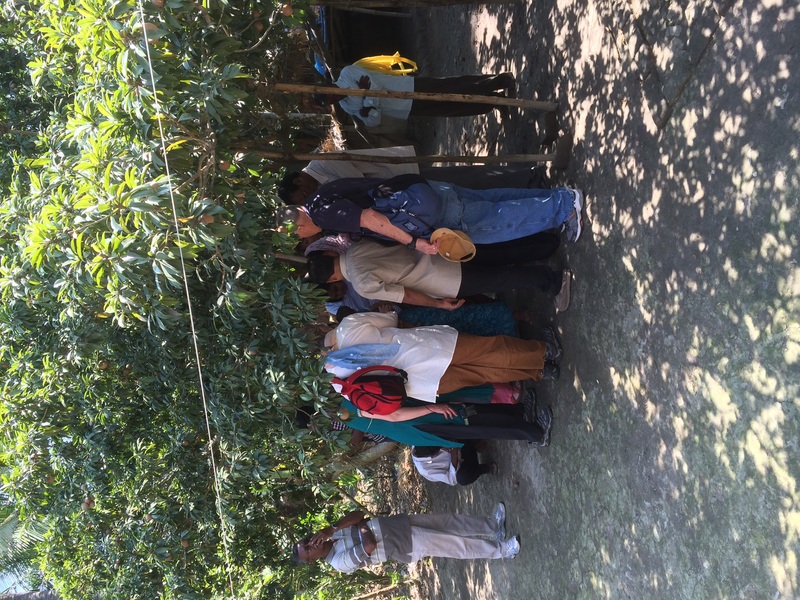 This team represented Christ through touching, feeding, cleaning, and loving on the lowest caste of this society. 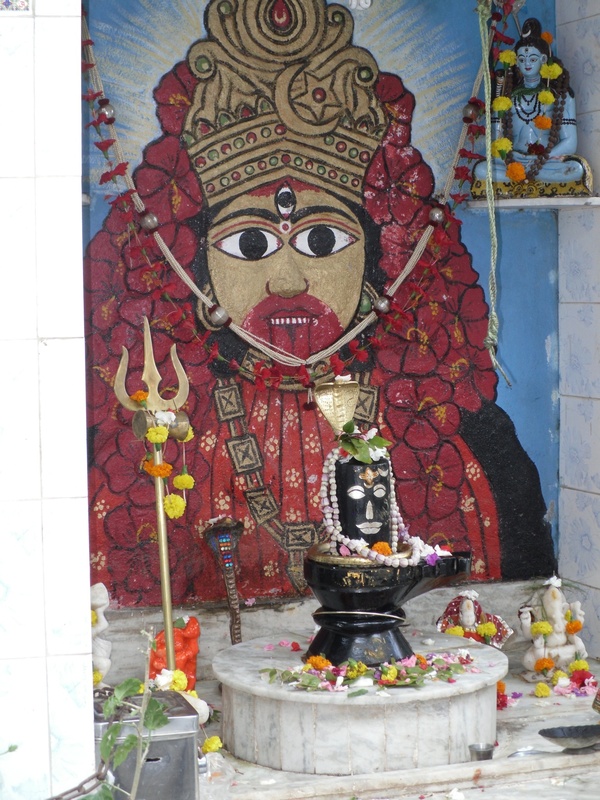 Idol worship is alive and practiced openly in this oppressive culture. This team of folks brought a ray of late to the citizens of this city through their loving presence. The team truly is making a difference in the world through their action. 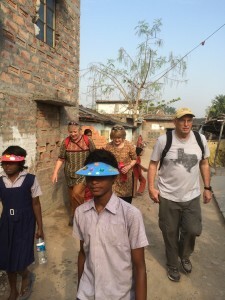 Please be in prayer for the team habit is Friday afternoon here halfway around the world from home and they rest for another visit to a different slum this evening where they will again represent Christ through their presence. Time is the most valuable gift we can give and it shows love like no other gift.